Russian Mi-35M helicopters in Syria equipped with on-board defense complex "Vitebsk"
wonder if anyone could answer these questions please. 2) The armour protection offered on the Mi-24 have read protection from 12.7mm i would have thought it would have been more. 3) The armour protection offered on the Mi-28 have from various sources stating windshield 7.62-12.7mm and others state 12.7-14.5mm, not sure what the rest of the Mi-28 protection is. Read new blades are protected up to 30mm. 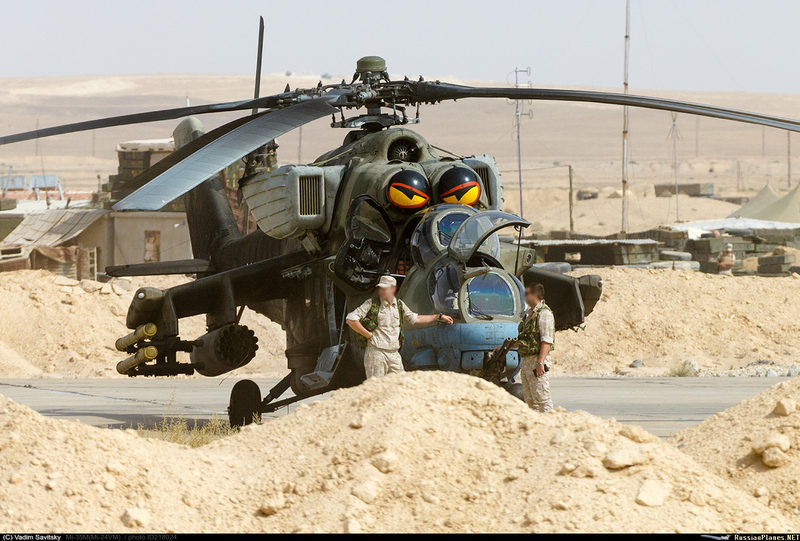 4) The armour protection offered on the Ka-52. I would imagine similar to Mi-28. 5) The armour protection offered on the Mi-8AMTSh/Mi-17, read it has armour plating i am only guessing but i would expect up to 12.7mm. any info would be great read so many conflicting reports and sources and guess this is the best place to get the facts. d_taddei2 wrote: wonder if anyone could answer these questions please. 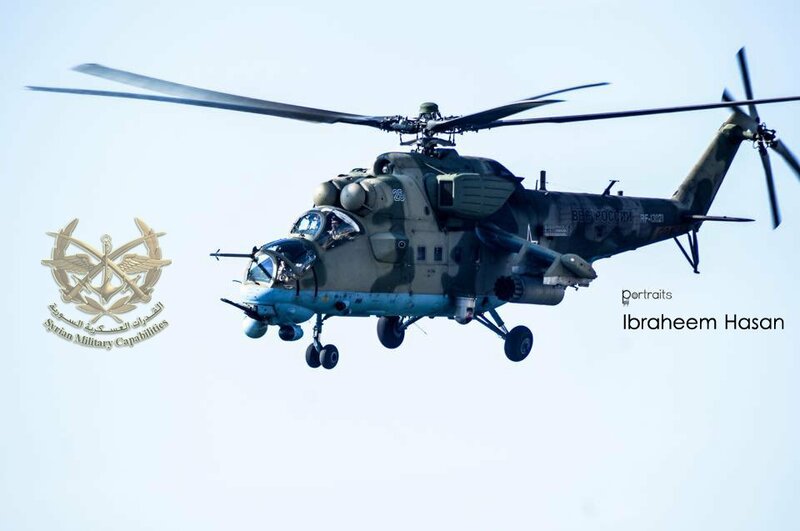 Mi-24PNs that RAF is using now have the worst general performance because they were the cheap upgraded version with old steel main rotor and old steel tail rotor beeing kept while the mass weight increased alot due to the IIR/ LRF system in nose and the ballast in tail. 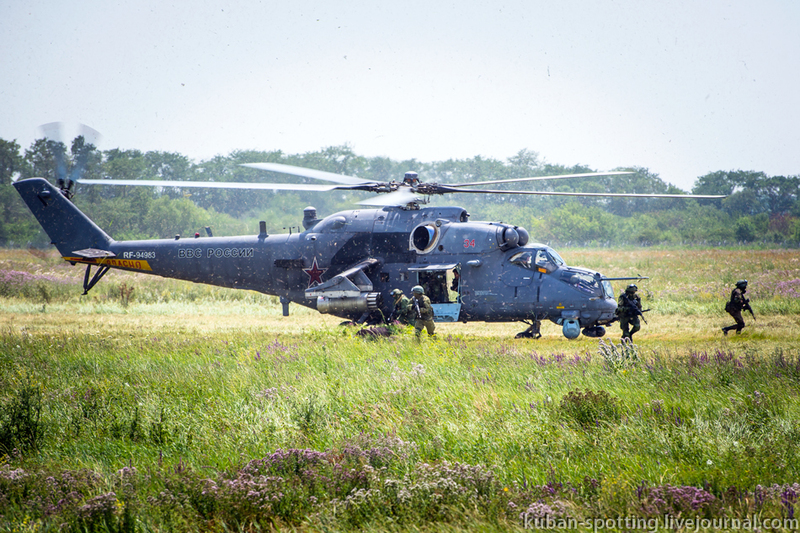 Mi-24PN Pilots had very negative feedback about their fly performance. Actually there were 2 versions of Mi-24P modernization, one was cheap Mi-24PN1 that RAF chose and the other was Mi-24PN2 with new engine VK-2500, new composite main rotor and new composite X-type tail rotor. Actually 12.7mm protection is rather better than most helos... the weight involved in protection from that sort of threat is huge. The flat windscreens are proof of 23mm cannon rounds, but the bubble canopies are not bullet proof. Most of the shell is titanium and 12.7 resistant if not proof. Most normal helos you can cup a ball point pen and push it through the metal fuselage... they are light fragile things. The reason behind the small thick windows on the Mi-28 is armour... I have seen videos of 14.5mm HMGs being set up next to the cockpit and fired directly into the glass with no internal flaking or cracks... the side armour should offer better protection than the glass. You would have serious trouble killing the crew with any small arm short of a rocket launcher. The curved canopies are likely not bullet proof, but the windshields and armoured sides and bottom are probably very well protected. The curved transparancies are likely not armoured... the armour plate on the Hip are the actual armour plates in front of the lower transparancies... actual sheet armour. Protection is improving all the time with lightweight ceramic armour and of course self defence suites and kevlar and aramid liners. 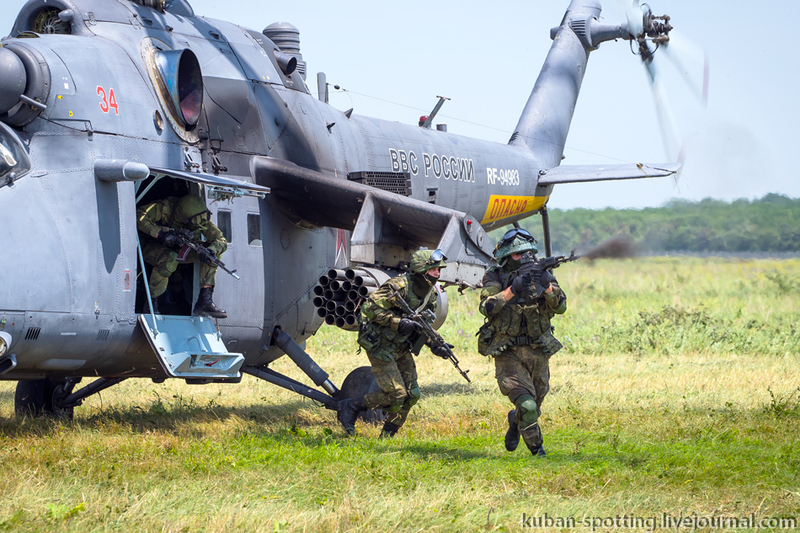 Special training for the landing was conducted by special forces of the Southern Military District. Why unusual? 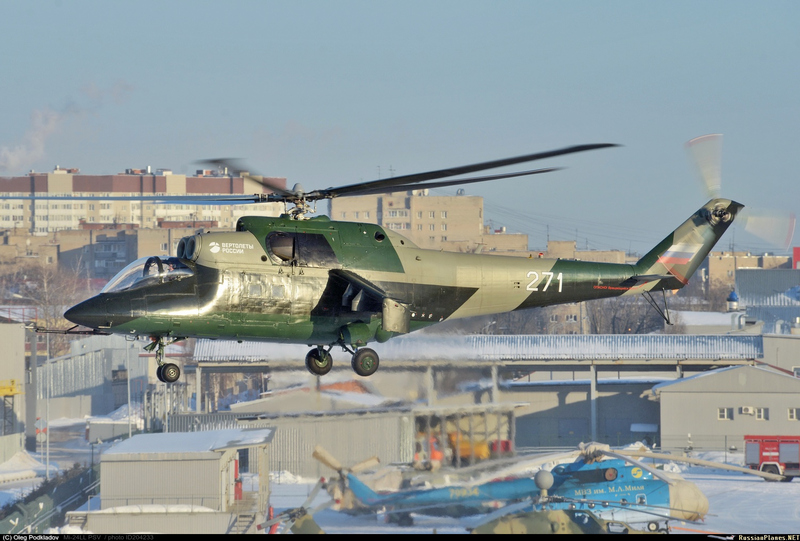 The fact is that in practice it has developed so that the main transport tasks are performed by Mi-8 helicopters and its modifications. Mi-8 has a more spacious cargo cabin, wide doorways, ramp and winch for easy loading and unloading of paratroopers and cargo. 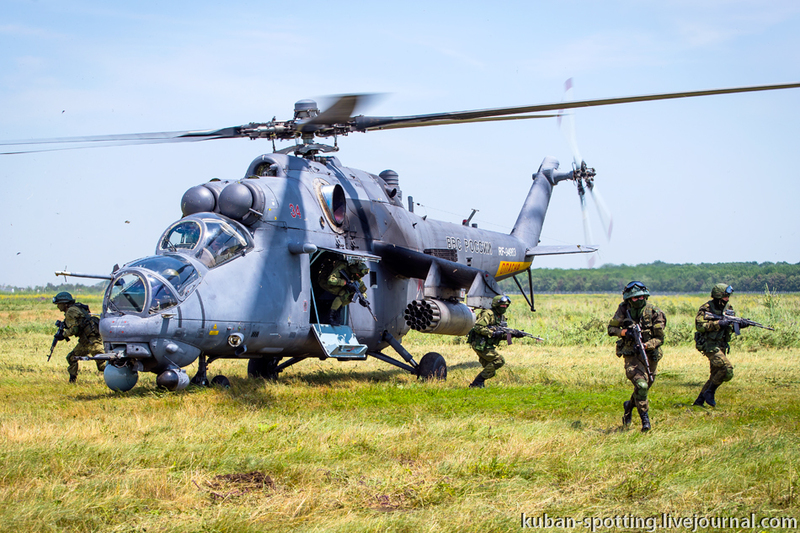 However, the task of delivering the landing force can be carried out and traditionally used for the fire support of the Mi-35M, for this purpose the helicopter is equipped with a cargo cabin capable of accommodating 8 fighters in full equipment. this is one of the main reasons why i like the Mi-24/35 is that its so versatile, small armoured transport and can be armed for any occasion. And the reason why this will be around for a long time. The backbone of any armed helicopter force. And its proving it too in syria. 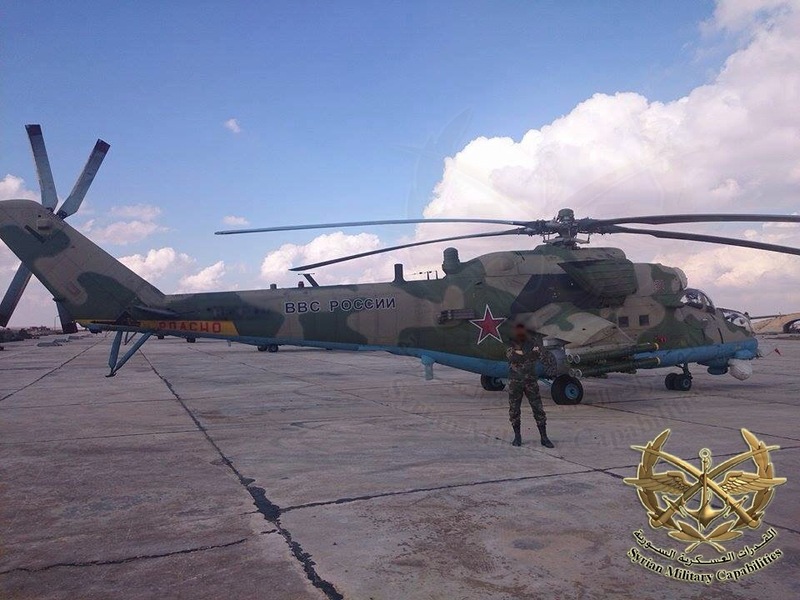 Combat helicopter Mi-35M (board number "33 blue") from the air force group of the Russian Air Force in Syria, on the forward side. A picture of Vadim Savitsky. Anyone know the approximate price of Mi-35? I would presume it's cheaper than Mi-28 and Ka-52. There would be a price range as there are several alternative setups including some systems etc. GarryB wrote: There would be a price range as there are several alternative setups including some systems etc. Sold 12 Mil-35M to Brazil for $150 ml US in 2014. 12.5MN each that's a good price. I know that it's likely Mi-24/35 will be in service for some time (2030-2035) but is there plans for something new. Ka-52 and Mi-28 are completely different. I would be surprised to see any further development of this type past the 35M but who knows? Does it say the money was only for aircraft? Did they already have that aircraft in service? There are lots of potential variables. Did they buy extra weapons or systems with the purchase of aircraft.... does it include a support package? Are they all equipped to the same level? That could be said about any military deal. So what you're say is no point in talking about cost of anything because we as the people will never know full details of any military deal. There was a design called Mi-40, which was basically the Mi-28 with a troop compartment. Note the Mi-24/35 is basically an Mi-8 shrunk down to only carry 8 troops and weapons, the Mi-40 is an Mi-28 expanded to carry 8 troops and weapons. Never left the drawing board AFAIK. I guess it would be possible to do to the Mi-38 what they did to the Mi-8 to create the Mi-24/35. What is the logic in making Mi-35s fixed gear.